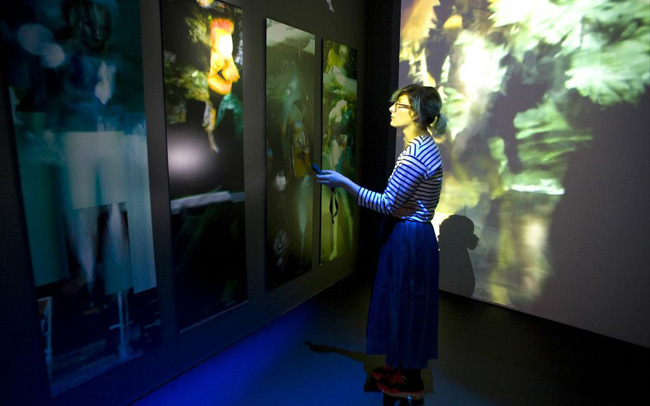 The Stanley Picker Gallery and Rhythm & Muse are pleased to present an audio recording of original poetry and prose inspired by The Liquid Game, a multi-sensory installation by Stanley Picker Fellows Boudicca which was staged at the Gallery 2 Feb – 23 March 2014. The recorded work, from 10 Kingston-based writers including members of Kingston Writing School, was first penned during a Gallery-based workshop and then debuted in live performance at Rhythm & Muse’s home venue, the Ram Jam Club. Outcomes will be collected into a forthcoming pamphlet edited by the organisation’s founder, Alison Hill. Intrigued? Click here to listen to the live performances. Thank you to contributors: John Grant, Emma Strong, Fran Thurling, Judith Blakemore Lawton, Alice Thurling, Cath Howe, Alison Hill, Frances White, Lucy Furlong & Dale Kenyon.